My husband John wakes up at an ungodly hour for work every morning: 3:17am if he has to shave and 3:28am if he doesn’t. Needless to say, he goes to bed very early. I still feel completely out of whack from the time change and have found myself retiring to bed earlier and earlier. 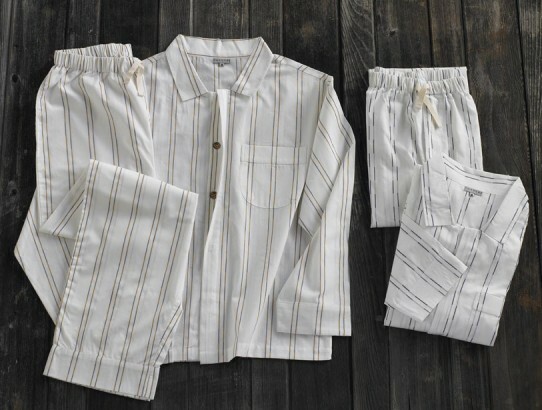 The other night I was flipping through the pages of December’s Vogue and squealed with delight when I came across Coyuchi pajamas on page 299. “John, I blogged about this company and own these PJs!” His response was less than enthusiastic. Warning: do not wake the sleeping man. 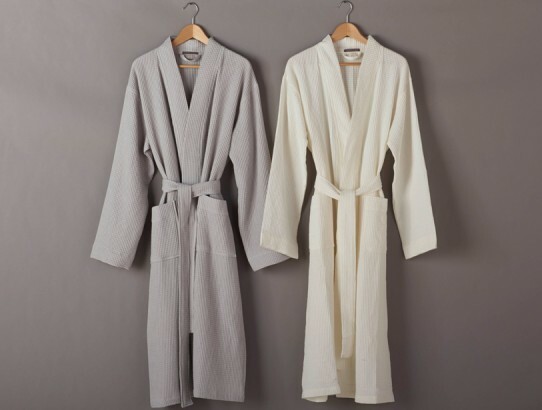 With the holidays right around the corner, I plan on scooping up some cozy PJs for the fam. 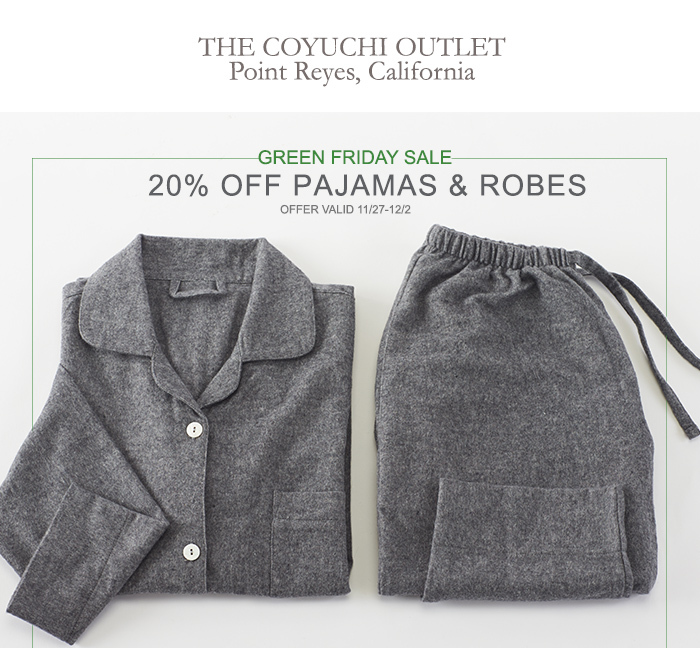 For “Green Friday” (how clever), Coyuchi is offering 20% off pajamas. If you live in the Bay Area, I highly recommend a trip to their store in Point Reyes for a larger variety. Make a day out of it. 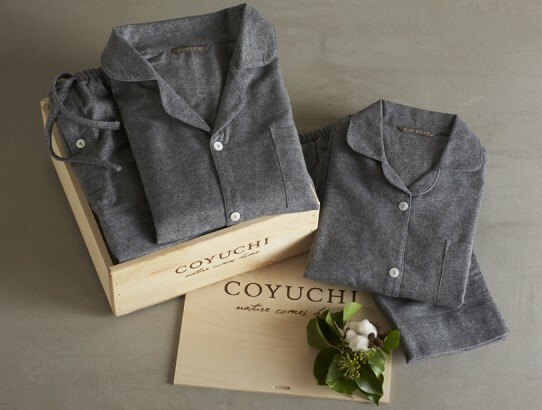 NYC folk: pick up your Coyuchi PJ’s at ABC Home. 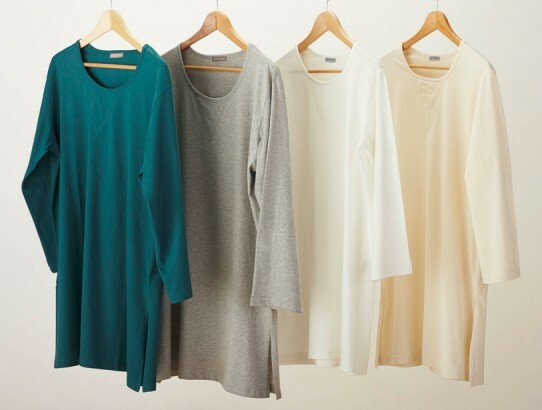 Vogue.com also complied a list of Stylish Sleepwear for the holidays…check out #4!